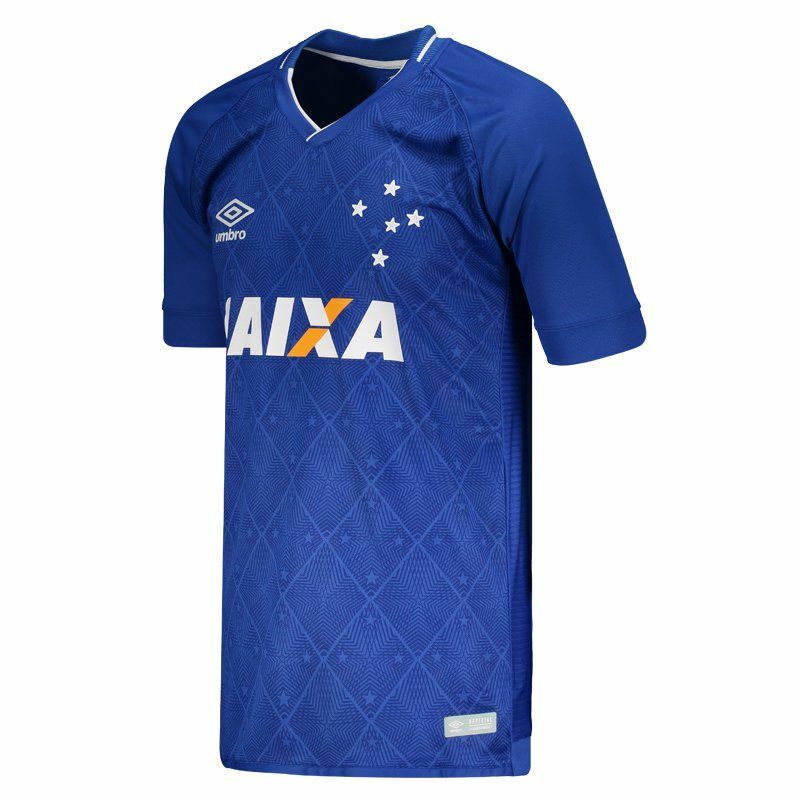 Umbro Cruzeiro Home 2017 Authentic Jersey made of light and flexible polyester, it guarantees the player total freedom of movement during matches. The shirt offers name and numbe More info. 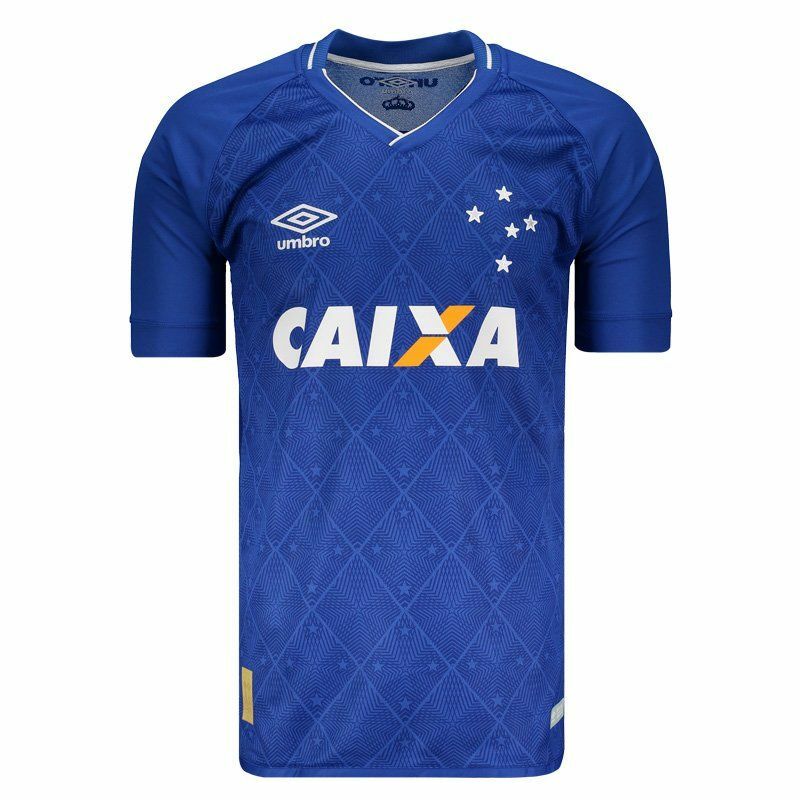 Produced by Umbro, the mantle of Cruzeiro for 2017 brings the player version. Made of light and flexible polyester, it guarantees the player total freedom of movement during matches. 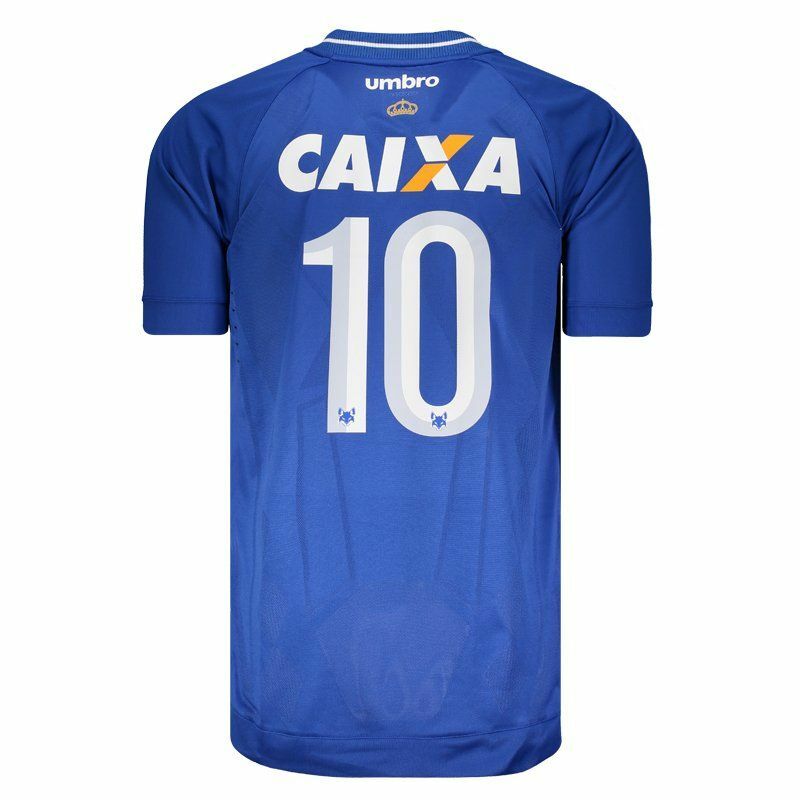 The shirt brings number 10 on the back, offers name customization on the official team fonts. 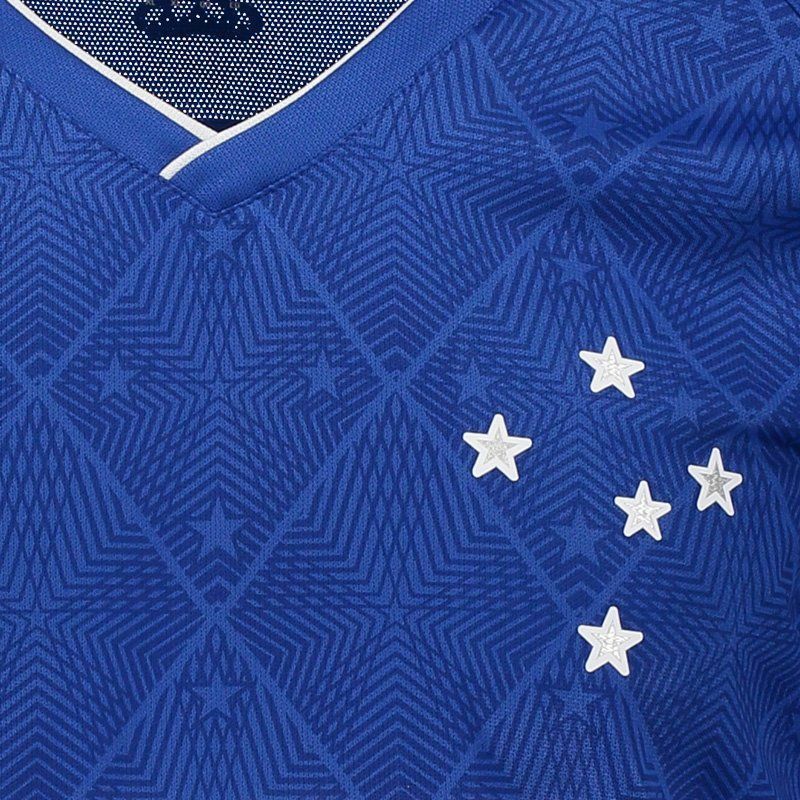 Its design features blue color with five stars of the Cruzeiro do Sul, stylized in watermark, on the front of the shirt. Still in the front, it is seen fixed above the bar, a seal that recalls the 20th anniversary of the two-time Copa Libertadores of América, conquered in 1997. On the back, below the nape of the neck, the logo of the supplier brand is seen again and next to it, the symbol of the triple crown, conquered in 2003. In addition, the mantle contains fabrics in breathable mesh and ventilation channels laser-trimmed, ideal for keeping the player fresh and fully breathable.Finally, its collar is V-trimmed and complements the details, sponsorships are seen in both parts of the piece.